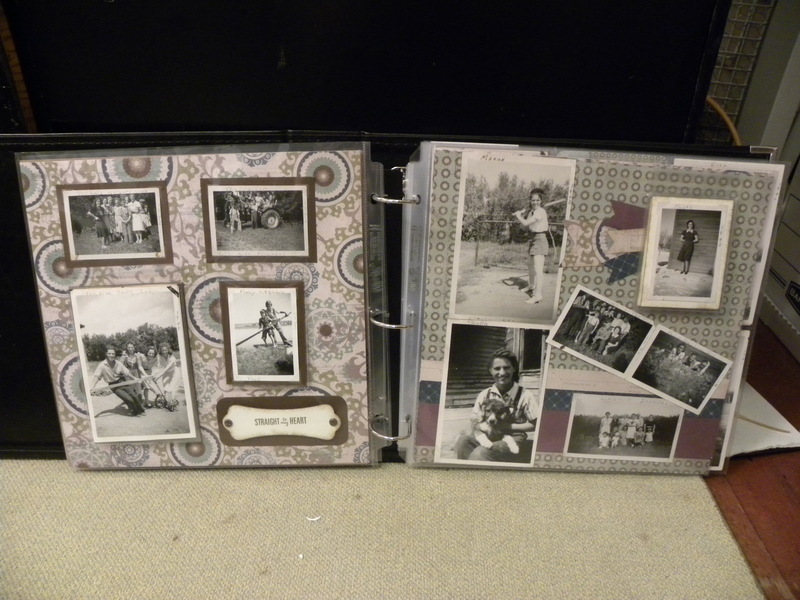 My friend Heather sent me a box a few week ago and has asked me to put her old family albums into a scrapbook. The box arrived and all I can say is that I have never seen such organization in these albums. 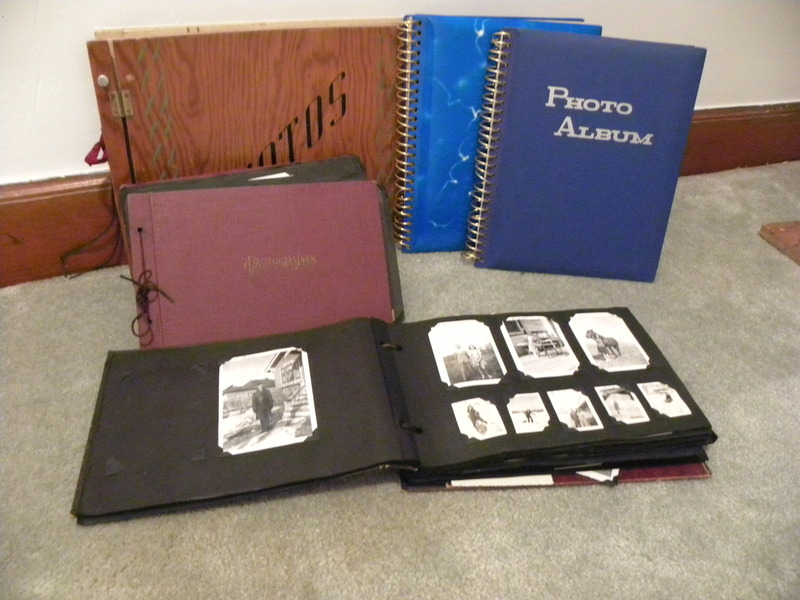 Many of the photos have names written on them, as well as the year. 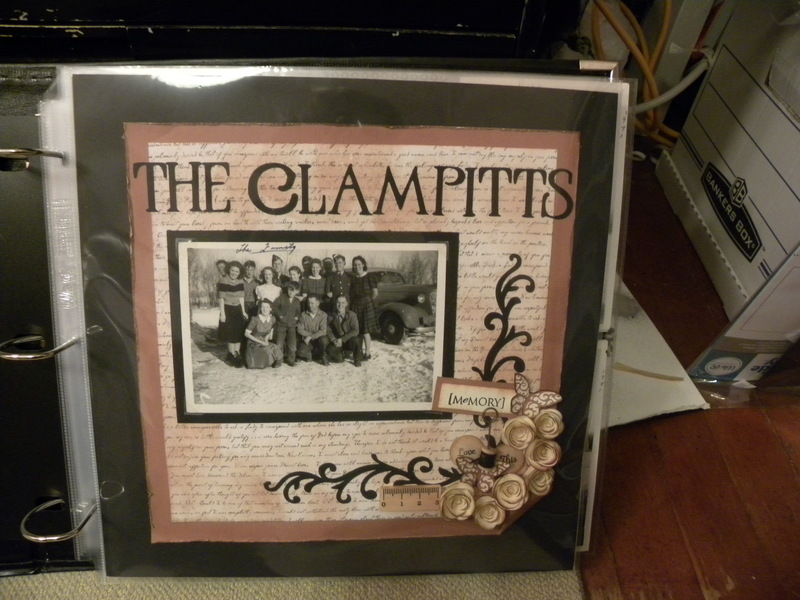 These albums are really a beautiful testimony to this family, but sad to say that the actual albums are falling apart. It is now my privilege to put them in a new one (or two or three). 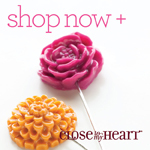 Check out the amazing organization! Today was the day to get started. I am inspired! 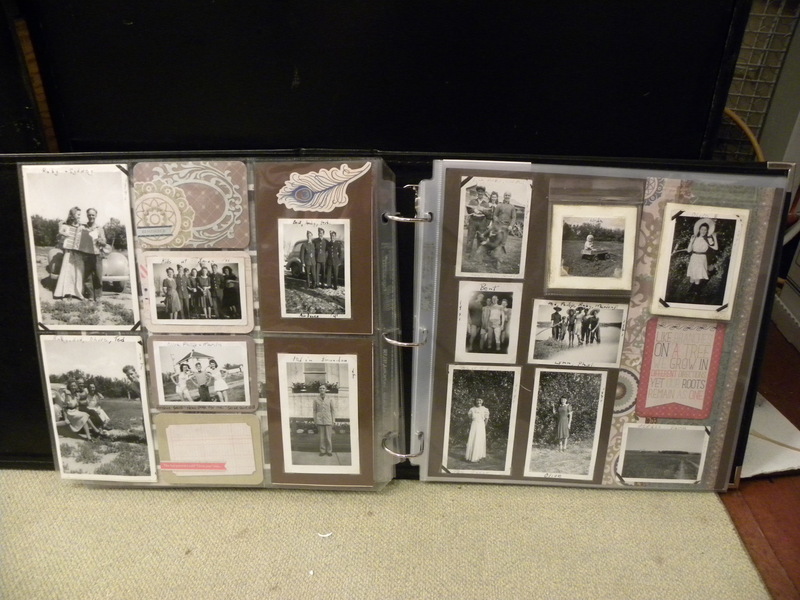 I am literally taking the photos by year and transposing them. These photos range in size from 2×3 all the way up to 4×6 so far. 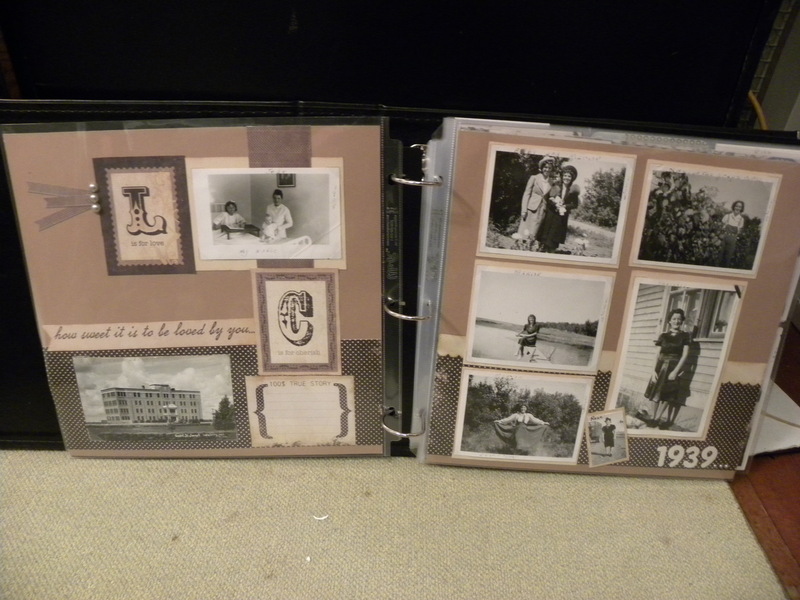 The photos begin about 1939, I am currently just completely 1942 so I have a few more years to go. 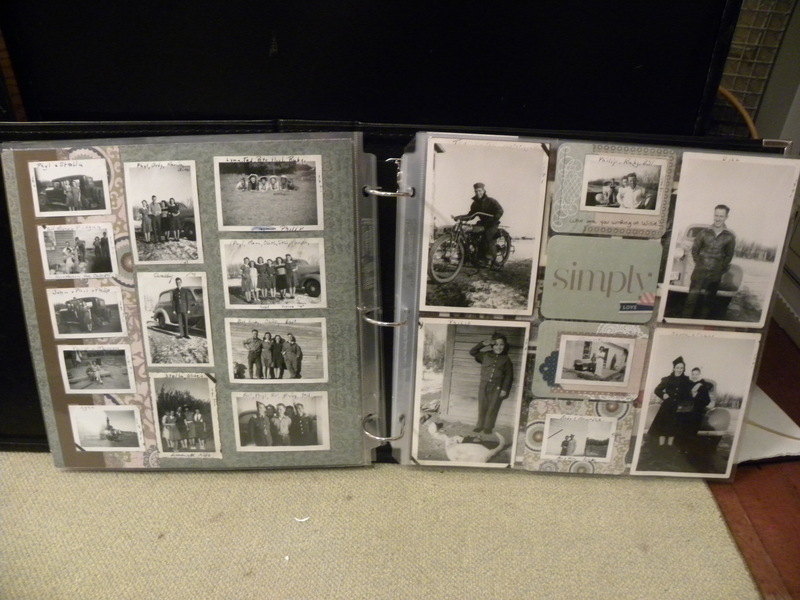 It is a challenge when you are scrapbooking for someone else, guessing the style they might like, hoping they are happy, also not really knowing the stories behind the photos. 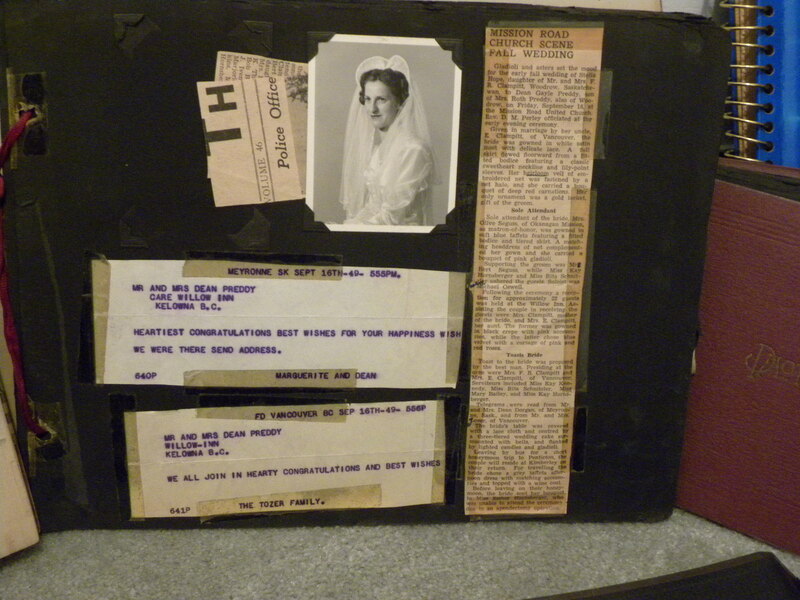 It is interestng to see little things written on the back of the pictures though, and the story can start to come alive. As you continue on, seeing the children growing in the pictures, the happy faces on their wedding day , the people start to live. This project is truly a privilege. So today is the beginning, I look forward to the journey and I hope you follow me as I continue this adventure. Visit Tracy Bahris's profile on Pinterest. Visit Tracy Bahris’s profile on Pinterest.